Calgary Sun columnist Rick Bell is a frequent critic of city hall and knows his articles are widely read within the halls of municipal power — what he didn't know, until just recently, is that top city officials had access to his work even before it was published. Calgary Sun columnist Rick Bell is a frequent critic of city hall and knows his articles are widely read within the halls of municipal power. What he didn't know, until just recently, is that top city officials had access to his work even before it was published. Documents released under a freedom of information request show city bureaucrats had obtained a leaked copy of one of Bell's columns last year and circulated it among themselves in consideration of a response. 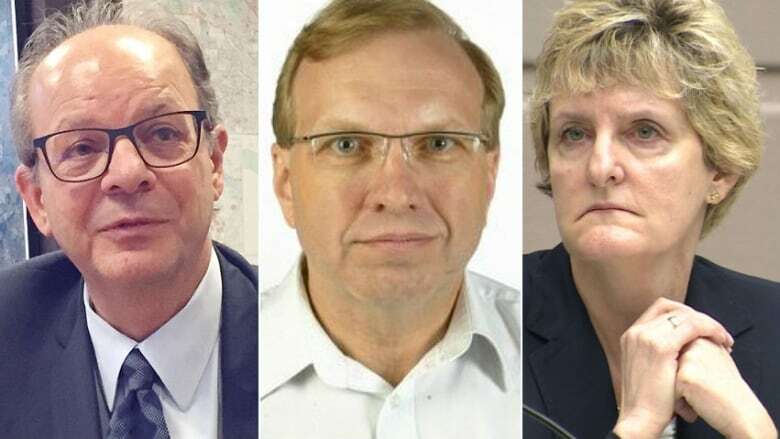 In that column, Bell criticized the city's lack of communication surrounding the sudden departure of its transportation manager under mysterious circumstances that have still not been publicly revealed. How the city obtained Bell's column prior to publication — in violation of journalistic norms and the newspaper's own policy — remains a mystery of its own. Bell says he didn't provide the column to the city in advance. The city would only say, through its chief lawyer, that the column was obtained from "someone else" but wouldn't say who that was. The newspaper's editor says he was as surprised as anyone to learn the column had leaked, and he's launched an investigation. And a journalism professor says the whole affair is another blow to the integrity of a beleaguered industry. Sean Holman, who teaches journalism at Calgary's Mount Royal University, says the leak of Bell's column to top city officials is troubling. "To have someone in a newsroom who is essentially functioning as a spy for people we should be holding to account, that is not what we would consider good journalism ethics," he said. In order to maintain their independence, news organizations generally have policies that prohibit articles from being shared externally before they are published. 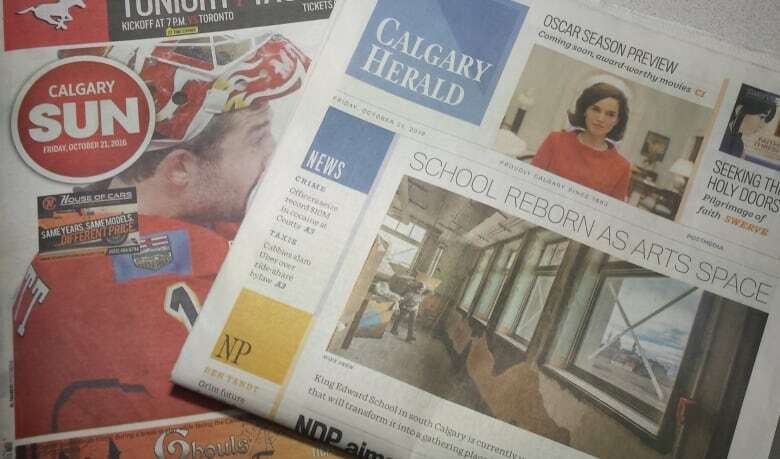 Lorne Motley, who serves as editor-in-chief for both the Calgary Sun and Calgary Herald, said "no one was more surprised" than him to learn Bell's column had landed in the hands of city staff before it was published online or in print. "It is against our guidelines to share a story/column pre-publication," Motley said in an email. "We are looking into the matter, both internally and externally." In rare cases, Holman said journalists might share portions of their own stories in order to confirm quotes, check facts or verify complicated information prior to publication, but it's concerning for an entire column to be shared externally — especially without the knowledge of the columnist or his boss. "This could potentially be a fireable offence," Holman said. All of this was revealed in internal city documents obtained by a third-party advocacy group called Save Calgary, which has itself been a frequent critic of city hall. 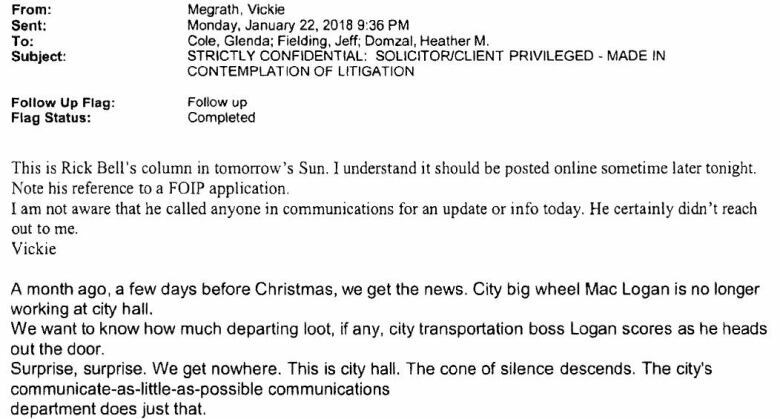 Buried in the middle of the 582 pages that Save Calgary obtained through a freedom of information request — and then posted online — is a two-page email from Vickie Megrath, who works as a client liaison lead in the city's communications department. The subject line of the email is: "STRICTLY CONFIDENTIAL: SOLICITOR/CLIENT PRIVILEGED - MADE IN CONTEMPLATION OF LITIGATION." Megrath sent the email to city manager Jeff Fielding and city solicitor Glenda Cole at 9:36 p.m on Monday, Jan. 22, 2018. "This is Rick Bell's column in tomorrow's Sun," Megrath wrote in the email. "I understand it should be posted online sometime later tonight." Megrath is a former journalist who worked at the Calgary Sun in the past, according to her online resume. She has been with the city since 2005. Her email to top city officials didn't explain how she obtained the column before it was published. The message came with a "follow up" flag. She concludes the message by saying: "I am not aware that [Bell] called anyone in communications for an update or info today. He certainly didn't reach out to me." The full text of the column then follows. CBC News requested comment from Megrath, Fielding and Cole, but only Cole, the city's top lawyer, replied. "The column was provided to Ms. Megrath on an unsolicited basis," she explained in an email. "From time to time, members of the media choose to share columns or stories with various members of the administration prior to publication," Cole added. "Reasons for doing so include as a courtesy (the case here) or to ask the city to verify certain information prior to publication." When asked who had shared the column with Megrath, Cole wouldn't say. But she did say it wasn't Bell. "My understanding is that it came from someone else," she said. Cole added that the reference to "litigation" in the subject line of the email did not mean the city was planning to sue Bell over the column. "There was never any intention by the City of Calgary to pursue any legal action whatsoever against Mr. Bell in regard to this matter," she said. "That subject line was used for other reasons." Bell said he doesn't share his columns with city hall before they are published. He declined to comment further. As a former journalist, Holman said he would consider it a serious breach to have an article leaked by someone else prior to publication. "If it were me, I would be furious," he said. "I would be outraged that someone within the newsroom would be operating in the interests of a source over the interests of the newsroom." While the leak may be in violation of the newspaper's internal policies, Cole said obtaining it and circulating it among senior city staff was not, in her view, a violation of the city's code of conduct for its own employees. "Ms. Megrath was not asked to keep this information confidential nor was she asked to refrain from sharing it with other city staff members," Cole said. Holman said part of the problem is that sharing a story before it's published could lead the subject of the story to attempt to influence how it's written or even "to take legal action to stop a story from seeing the light of day." "Our job is to hold our sources to account, to tell the truth, to give the truth to the public," he said. "So, if sharing a story prior to publication interferes with that job — which it very well sometimes can — we're really invalidating our societal role."